COLUMBIA - Several Boone County organizations supported MU in response to threats made by lawmakers to cut the university's budget. The Boone County Commission, Columbia Public Schools, and the Columbia Chamber of Commerce collaborated on a resolution backing MU that was approved by the Boone County Commission Tuesday. Boone County Presiding Commissioner Daniel Atwill said taking away funding from MU would be detrimental, to not only the surrounding community, but the entire state. "The ultimate goal of this resolution is to shed some light on the financial aspects of what is being discussed by the legislature and to bring people, to bring to the attention of people, the consequences of what is being discussed," Atwill said. Rep. Chuck Basye, R-Rocheport, said the discussion of cutting funding for the university began during the student protests in 2015. Basye said, immediately after former Chancellor R. Bowen Loftin and former UM System President Tim Wolfe stepped down in November, the subject of MU's funding came up among lawmakers. "I know that they, some of my colleagues, are adamant that Mizzou needs to get some funding taken away," Basye said. The University of Missouri System will have a chance to explain its budget proposal to the House Higher Education Appropriations Committee Wednesday afternoon. Rep. Kip Kendrick, D-Columbia, said the Columbia campus would likely be taking the hardest hit in the committee meeting. "It's going to come across as more of a witch hunt. There's going to be a lot of questions directed at the university," Kendrick said. The consensus at the Capitol is that the cuts will happen despite the resolution passed by the Boone County Commission. Both Basye and Kendrick agreed that the threat of cuts to MU's funding is very real. Atwill said it is probably more a matter of when the budget is cut, rather than if. "I think the real issue is, is it going to be severe to the point that it impacts the people who work at the university," Atwill said. 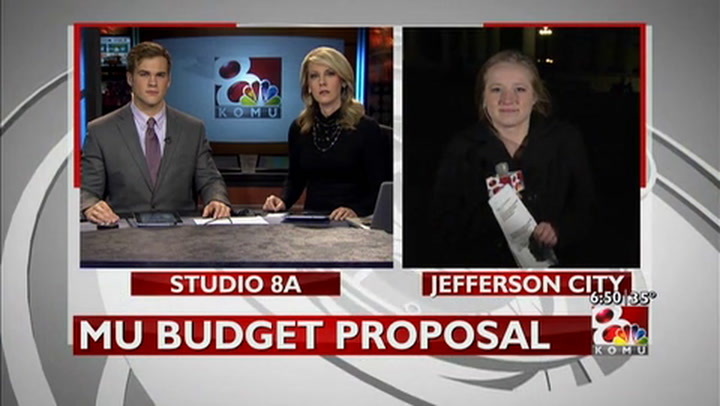 The lawmakers said no set amount has been officially suggested to cut from MU's budget.